I made this last summer, but somehow forgot to post it. However, as you may be thinking about thanksgiving side dishes, now seems appropriate. I discovered not too long ago that I love roasted cauliflower. We'd have it each week if I had my way. However, my husband expressed mixed feelings about it when I mentioned it so I knew I had to hide it in something. This was my first success. This recipe came from Lynn's Kitchen Adventures. 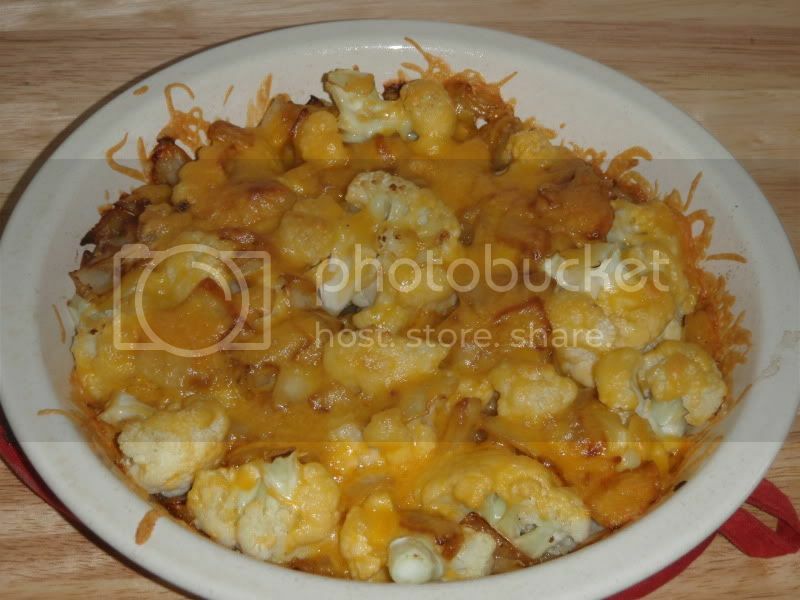 I made a few minor changes including pre-steaming the cauliflower for extra tenderness and adding a bit more cheese. You could also roast the cauliflower for extra sweetness. In a large skillet saute onion in oil until tender. Add butter and garlic and cook for one more minute. Add cauliflower, salt, and pepper. 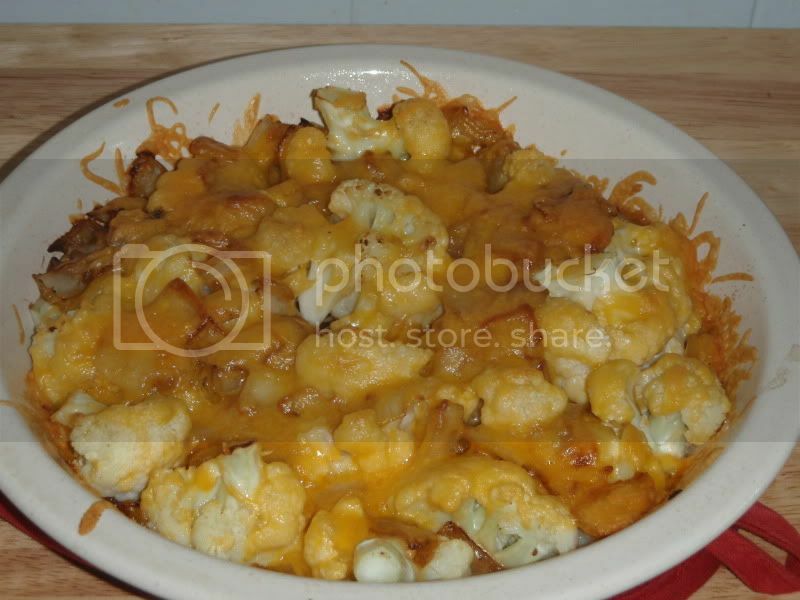 Pour into an oven proof dish and sprinkle with cheese. Bake for 15-20 minutes or until tender and slightly browned.